Finally whittled down all of your suggestions for the best iPhone apps for kids. 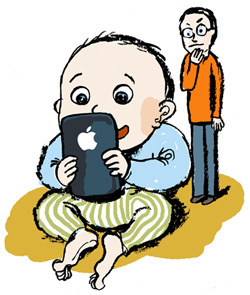 New article on Slate today about the iPhone as the ultimate kid pacification device. Since writing the article, I’ve had to delete Slotz Racer off my phone due to it’s mind-control over both me and my son.